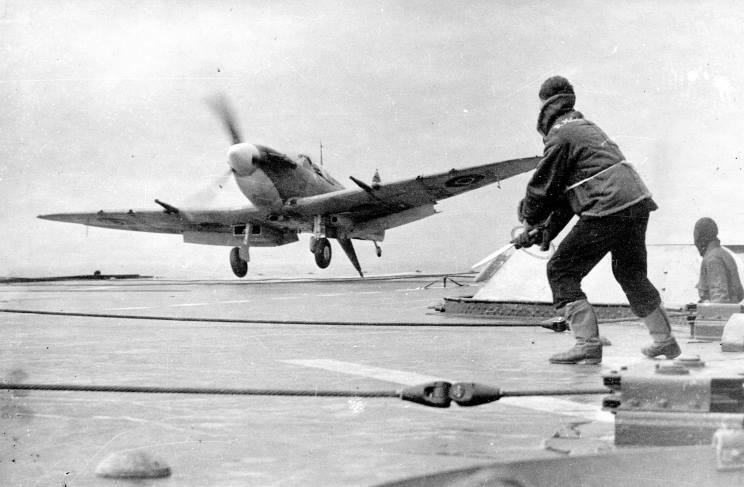 A Supermarine Seafire landing on HMS Indomitable. 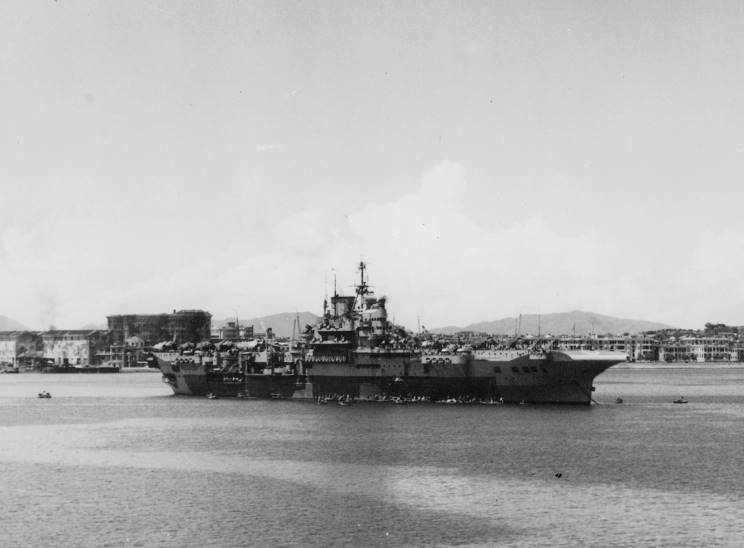 HMS Indomitable, possibly at Colombo, Ceylon in April 1946. 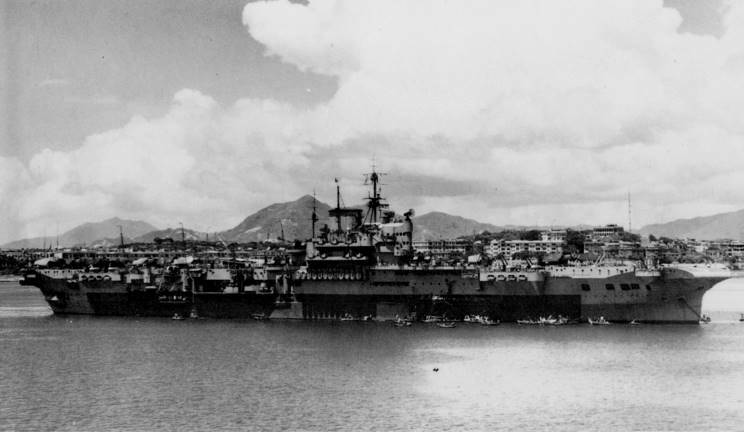 HMS Indomitable seen in June 1946. 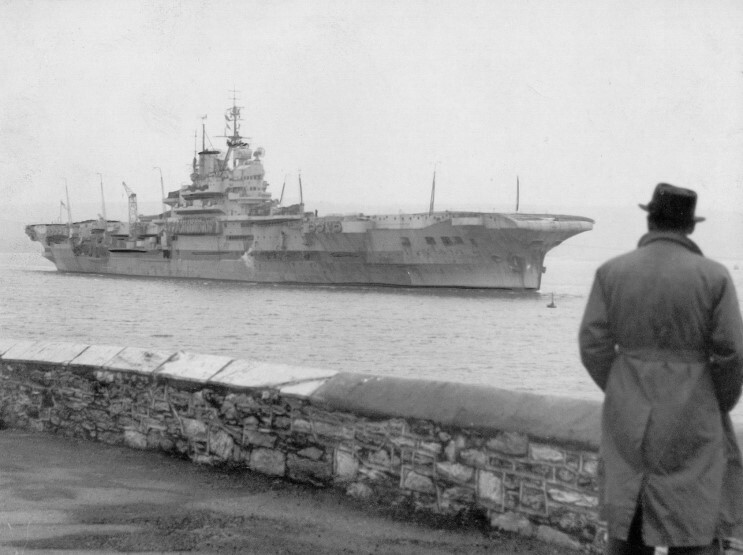 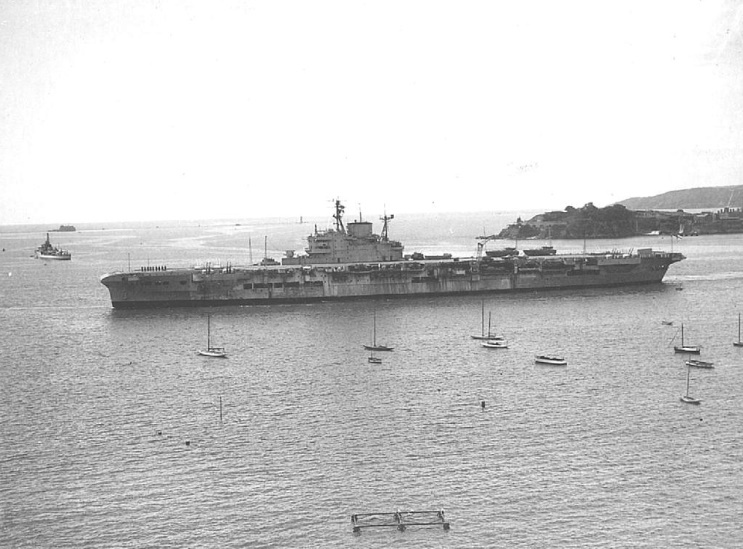 HMS Indomitable arriving at Devonport, England, date unknown. 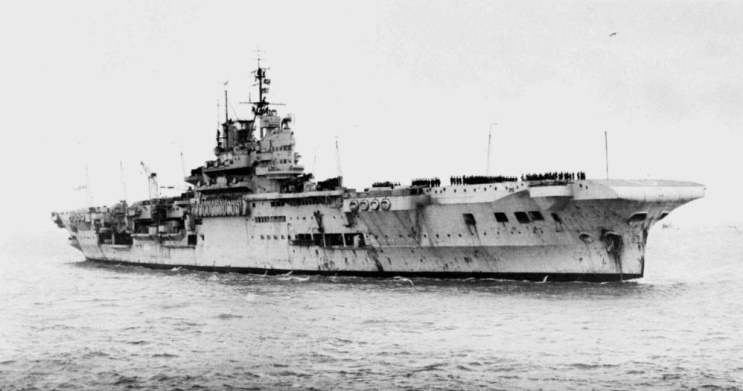 which, at the request of the Admiralty, was never rebuilt because it restricted entry into the Devonport Dockyard.